Over the weekend, hundreds of residents of Mexican border town Tijuana protested against the arrival of the many thousands of migrants from Central America as they feared the large influx of people wanting to cross into the US (often illegally) would lead to a border closure and thus hurt them economically. 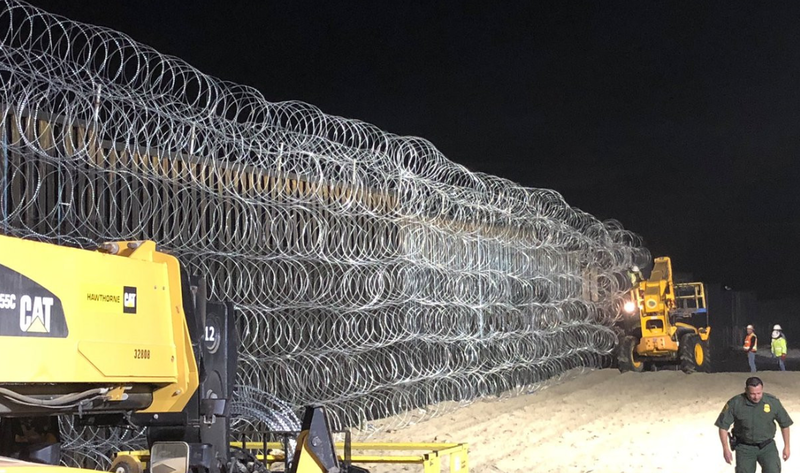 Less than 24 hours later the White House administration did just that, albeit only for a couple of hours in order to fortify the fence. US police closed off the northbound traffic for several hours at the busiest border crossing with Mexico to install new security barriers. Related coverage: <a href="https://thegoldwater.com/news/42762-Caravan-Tijuana-Residents-Protest-10-000-Migrant-Invasion-Say-Trump-Was-Right-Video"> Caravan - Tijuana Residents Protest 10,000 Migrant ‘Invasion’ Say ‘Trump Was Right’ (Video)</a>. Furthermore, US authorities also closed one of two pedestrian crossings at the San Ysidro crossing in a move apparently aimed at preventing any mass rush of migrants across the border. The installation of an additional barrier and closure of one of the pedestrian crossing is sure to make a life for Mexicans using San Ysidro more complicated. On a daily basis, some 110,000 people enter the US in 40,000 vehicles, creating at times very long lines. During the fortifying of the fence already, long lines of waiting vehicles backed up in Tijuana, where people are dependent on the border crossing to remain open in order to work on the US side. The problem is set to worsen as more migrants of the multiple caravans that are still en route are set to arrive in the next days. In all, Mexican authorities stated they expect the city to host 10,000 migrants shortly, even though the shelters only have the capacity for about one thousand. The Tijuana mayor is asking federal authorities for additional funds as he fears the migrants could be stuck in his town for quite a while. Dang! That's some crazy barb wire.